Congratulations to Julee & Aron!! 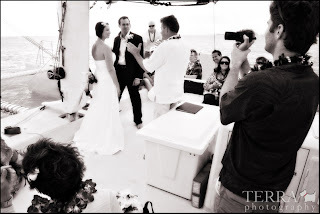 The sunset wedding started with guests boarding the Outrigger Catamaran on the sand of Waikiki Beach. 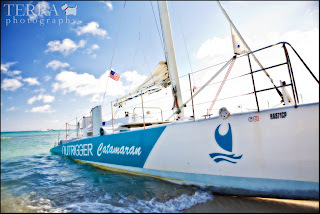 For a truely intimate wedding the catamaran was privately chartered, with guests enjoying drinks, pupus & live music. Sea turtles & rainbows made the evening extra special. 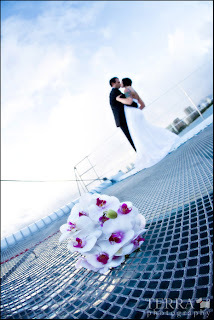 These wonderful pictures were taken by Terra Photography, thanks for sharing Barbara! !